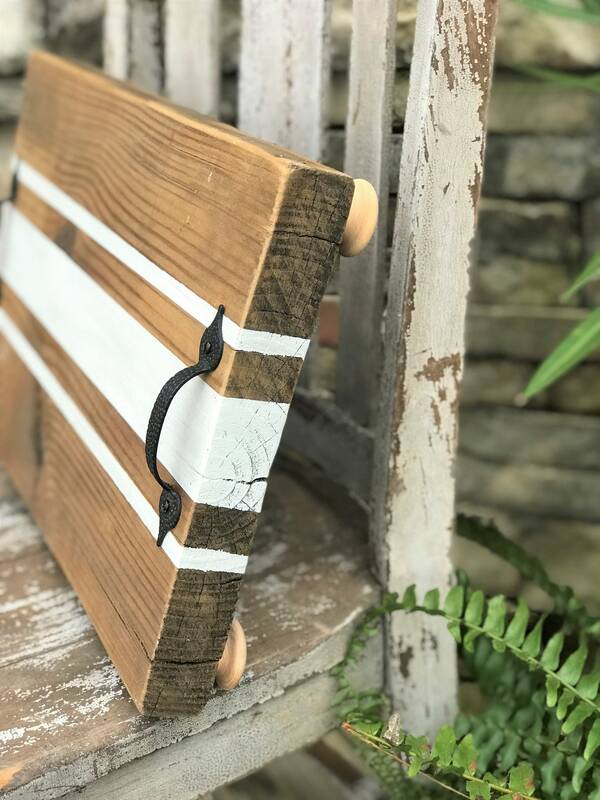 This adorable wooden tray would look great with your farmhouse or rustic decor! 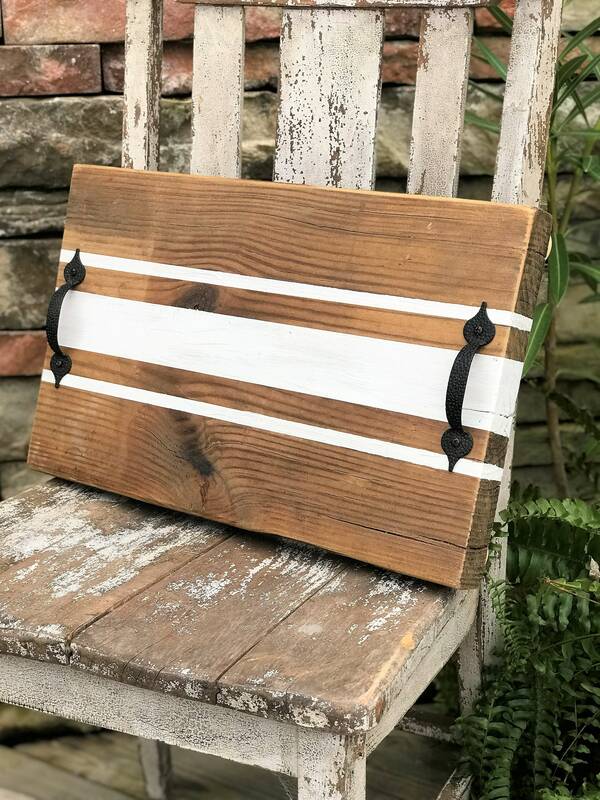 It measures 11"x16" and is painted with white grain sack stripes. The handles are hammered metal in black. Made with 100% reclaimed lumber.